Based on the firm's extensive history and team approach to address client needs, we are uniquely qualified to resolve all aspects of family law and divorce related issues. Our cases regularly involve complex issues, such as forensic accounting, tracing of financial assets, high asset marital estates, international marriages, and resolving custodial issues to meet the best interests of our client's children. In each case, we explain the law to our clients, carefully identify the clients' goals, and outline a detailed strategy for achieving a resolution either through settlement, or if necessary, litigation. Our success is driven by our dedication to our clients, and adherence to the highest levels of professionalism and ethics. At Kelly Byrnes & Danker, PLLC, we also strive to remain active in legal community with groups such as the Virginia State Bar and Fairfax Bar Association. With decades of combined experience, our attorneys skillfully navigate to achieve our clients' goals whether in negotiations, mediation, or contested courtroom proceedings. While a majority of our cases are settled before ever going to trial, this team prepares for every possible outcome. As a result of our accomplishments, professionalism and exceptional ethical standards, our attorneys have been recognized throughout the legal community. Their honors include being selected for The Best Lawyers in America, Super Lawyers, a Top Lawyer in Washingtonian magazine, Ten Leaders, and the National Advocates. 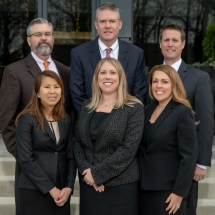 Kelly Byrnes & Danker, PLLC, has offices in Fairfax, Virginia, and Leesburg, Virginia, For the convenience of clients, the firm accepts credit card payments.